Brigantia is the land inhabited by the Brigantes, a British Celtic tribe which occupied the largest territory in ancient Britain. The territory of Brigantia which now forms Northern England and part of The Midlands covered the majority of the land between the River Tyne and the River Humber forming the largest Brythonic Kingdom in ancient Britain. It was recorded by Ptolemy in the 2nd century AD to extend sea to sea, from the Irish sea on the west coast to the North Sea in the east. The Carvetii were an Iron Age people and were subsequently identified as a civitas (canton) of Roman Britain living in what is now Cumbria, in North-West England. The fortunes of the Catuvellauni and their kings before the conquest can be traced through ancient coins and scattered references in classical histories. They are mentioned by Cassius Dio, who implies that they led the resistance against the conquest in AD 43. They appear as one of the civitates of Roman Britain in Ptolemy's Geography in the 2nd century, occupying the town of Verlamion (modern St Albans) and the surrounding areas of Hertfordshire, Bedfordshire and southern Cambridgeshire. Their territory was bordered to the north by the Iceni and Corieltauvi, to the east by the Trinovantes, to the west by the Dobunni and Atrebates, and to the south by the Regnenses and Cantiaci. The Corionototae were a group of Ancient Britons apparently inhabiting what is now Northern England about whom very little is known. They were recorded in one Roman ex-voto inscription (now lost) from Corbridge, of uncertain date, which commemorated the victory of a prefect of cavalry, Quintus Calpurnius Concessinius, over them.Historians tend to categorise them either as a tribe or a sub-tribe of the Brigantes in the absence of any information. The name Corionototae appears to contain the Celtic roots *korio- meaning an army (Irish cuire) and *towta- meaning members of a tribe or people, thus it would appear to mean "tribal army" or "people's army" which might suggest rather a military or political formation opposed to Rome; T.M. Charles-Edwards suggests a tribal name based on a proposed deity *Corionos instead. On the basis of the similarity of the names, writers such as Waldman and Mason have suggested a link with the Irish Coriondi while other earlier writers, erroneously linking the name to the Gaelic Cruthin, thought it could refer to the Picts. The Damnonii (also referred to as Damnii) were a Brittonic people of the late 2nd century who lived in what became the Kingdom of Strathclyde by the Early Middle Ages, and is now southern Scotland. They are mentioned briefly in Ptolemy's Geography, where he uses both of the terms "Damnonii" and "Damnii" to describe them, and there is no other historical record of them, except arguably by Gildas three centuries later. Their cultural and linguistic affinity is presumed to be Brythonic. However, there is no unbroken historical record, and a partly Pictish origin is not precluded. The Romans under Agricola had campaigned in the area in 81, and it was Roman-occupied (at least nominally) between the time that Hadrian's Wall was built (c. 122), through the building of the Antonine Wall (c. 142), until the pullback to Hadrian's Wall in 164. Ptolemy's Geography was written within this timeframe, so his account is contemporary. The Deceangli or Deceangi (Welsh: Tegeingl) were one of the Celtic tribes living in Wales, prior and during the Roman invasion of Britain. The tribe lived in Wales and west Cheshire but it is uncertain whether their territory covered only the modern counties of Flintshire, Denbighshire and part of Cheshire in what is now England or whether it extended further west into Gwynedd. They lived in hill forts running in a chain through the Clwydian Range and their tribal capital was Canovium.Assaults on the Welsh tribes were made under the legate Publius Ostorius Scapula who attacked the Deceangli in 48 AD. They appear to have surrendered with little resistance, unlike the Silures and the Ordovices who put up a long and bitter resistance to Roman rule. No Roman town is known to have existed in the territory of this tribe, though the auxiliary fort of Canovium (Caerhun) was probably in their lands and may have had a civilian settlement around it. Roman mine workings of lead and silver are evident in the regions occupied by the Deceangli. Several sows of lead have been found in Chester, one weighing 192 lbs bears the markings: IMP VESP AVGV T IMP III DECEANGI. Another, found near Tarvin Bridge, weighing 179 lbs is inscribed: IMP VESP V T IMP III COS DECEANGI and is dated to AD 74. Both are displayed in the Grosvenor Museum. The Demetae were a Celtic people of Iron Age and Roman period, who inhabited modern Pembrokeshire and Carmarthenshire in south-west Wales, and gave their name to the county of Dyfed. The Gabrantovices were a conjectural group of Ancient Britons inhabiting the coast of what is now Yorkshire in Northern England. They may have been a sub-tribe or sept of the Brigantes or of the Parisi. As with their proposed neighbours, the Lopocares, the Gabrantovices are not directly attested: the name is taken from Ptolemy's name Γαβραντουικων Ευλιμενος Κολπος, or in Latin Gabrantvicvm Sinus — the Gabrantovician Harbour. This is identified with modern Bridlington Bay or Filey Bay. The meaning of the name has been discussed as deriving from one of two Celtic roots, either *gabro- meaning a goat (Welsh gafr) or *gabranto- meaning "riding a horse" with second element meaning "fight", so "Goat warriors" or "Cavalry warriors". The names of the Celtic Iron Age tribes in Britain were recorded by Roman and Greek historians and geographers, especially Ptolemy. Information from the distribution of Celtic coins has also shed light on the extents of the territories of the various groups that occupied the island. At least twenty kings were referred to as "King of the Britons", while others were given related titles or descriptions. The table below also contains the paramount native Welsh rulers in the Norman and Plantagenet periods – by this time only Wales (or parts thereof) remained under Brittonic rule in Britain and the term "Britons" (Brythoniaid, Brutaniaid) was used in Britain to mean the Welsh people (Cymry in modern Welsh). This, and the diminishing power of the Welsh rulers relative to the Kings of England, is reflected in the gradual evolution of the titles by which these rulers were known from "King of the Britons" in the 11th century to "Prince of Wales" in the 13th.Although the majority of the rulers listed below had their power base in Gwynedd in North Wales, most insular Brittonic areas from the 7th century on are to be found in the list below, from Dumnonia in the West Country, to Strathclyde in southwest Scotland. The Lopocares were a conjectural group of Ancient Britons inhabiting the area around Corbridge in Northumberland, Northeast England. They may have been a sub-tribe or sept of the Brigantes. The Lopocares are not directly attested in any records: the name is reconstructed from the name of Corbridge as given in the Ravenna Cosmography, Corielopocarium, but this appears in another Roman source — the Antonine Itinerary — in a different form as Corstopitium. The "corie-" element is interpreted either as a Celtic word *korio-, army or host or as the Latin curia, but the meaning of the name Lopocares itself is unknown. The Ordovices were one of the Celtic tribes living in Great Britain before the Roman invasion. Their tribal lands were located in present-day North Wales and England between the Silures to the south and the Deceangli to the north-east. The Ordovices were partially conquered by the Roman governor Gnaeus Julius Agricola in the campaign of AD 77–78. The Celtic name *ordo-wik- could be cognate with the words for "hammer": Irish 'Ord', Welsh 'Gordd' (with a G- prothetic) and Breton 'Horzh' (with a H- prothetic). The Ordovices farmed and kept sheep, and built fortified strongholds and hill forts. They were among the few British tribes that resisted the Roman invasion. The resistance was mainly organised by the Celtic leader Caratacus, exiled in their lands after the defeat of his tribe in the Battle of the Medway. Caratacus became the warlord of the Ordovices and neighbouring Silures, and a Roman public enemy in the 50s AD. Following the Battle of Caer Caradoc, where governor Publius Ostorius Scapula defeated Caratacus, the Ordovices were no longer a threat to Rome, probably due to heavy losses. In the 70s, the Ordovices rebelled against Roman occupation and destroyed a cavalry squadron. This act of war provoked an equally strong response from Agricola, who, according to Tacitus, exterminated almost the whole tribe. No other mention of the tribe appears in the historical records, but in view of the mountainous terrain of the lands of the Ordovices, it is questionable whether Agricola could have wiped out the entire population. The name of this tribe appears to be preserved in the place name Dinorwig ("Fort of the Ordovices") in North Wales. The Ordovician geological period was first described by Charles Lapworth in 1879, based on rocks located in the lands of the Ordovices. 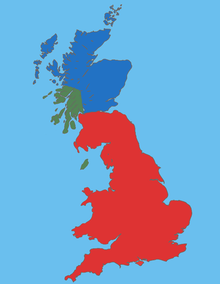 The Regnenses, Regni or Regini were a British Celtic kingdom and later a civitas of Roman Britain. Their capital was Noviomagus Reginorum, known today as Chichester in modern West Sussex. The Setantii (sometimes read as Segantii) were a possible pre-Roman British people who apparently lived in the western and southern littoral of Lancashire in England. It is thought likely they were a sept or sub-tribe of the Brigantes, who, at the time of the Roman invasion, dominated much of what is now northern England. The Silures were a powerful and warlike tribe or tribal confederation of ancient Britain, occupying what is now south east Wales and perhaps some adjoining areas. They were bordered to the north by the Ordovices; to the east by the Dobunni; and to the west by the Demetae. The Trinovantes or Trinobantes were one of the Celtic tribes of pre-Roman Britain. Their territory was on the north side of the Thames estuary in current Essex and Suffolk, and included lands now located in Greater London. They were bordered to the north by the Iceni, and to the west by the Catuvellauni. Their name possibly derives from the Celtic intensive prefix "tri-" and a second element which was either "novio" - new, so meaning "very new" in the sense of "newcomers", but possibly with an applied sense of vigorous or lively ultimately meaning "the very vigorous people." Their capital was Camulodunum (modern Colchester), one proposed site of the legendary Camelot. Shortly before Julius Caesar's invasion of Britain in 55 and 54 BC, the Trinovantes were considered the most powerful tribe in Britain. At this time their capital was probably at Braughing (in modern-day Hertfordshire). In some manuscripts of Caesar's Gallic War their king is referred to as Imanuentius, although in other manuscripts no name is given. Some time before Caesar's second expedition this king was overthrown by Cassivellaunus, who is usually assumed to have belonged to the Catuvellauni. His son, Mandubracius, fled to the protection of Caesar in Gaul. During his second expedition Caesar defeated Cassivellaunus and restored Mandubracius to the kingship, and Cassivellaunus undertook not to molest him again. Tribute was also agreed. The next identifiable king of the Trinovantes, known from numismatic evidence, was Addedomarus, who took power c. 20-15 BC, and moved the tribe's capital to Camulodunum. For a brief period c. 10 BC Tasciovanus of the Catuvellauni issued coins from Camulodunum, suggesting that he conquered the Trinovantes, but he was soon forced to withdraw, perhaps as a result of pressure from the Romans, as his later coins no longer bear the mark "Rex", and Addedomarus was restored. Addedomarus was briefly succeeded by his son Dubnovellaunus c. 10–5 BC, but a few years later the tribe was finally conquered by either Tasciovanus or his son Cunobelinus. Addedomarus, Dubnovellaunus and possibly Mandubracius all appear in later, post-Roman and medieval British Celtic genealogies and legends as Aedd Mawr (Addedo the Great) Dyfnwal Moelmut (Dubnovellaunus the Bald and Silent) and Manawydan. The Welsh Triads recall Aedd Mawr as one of the founders of Britain. The Trinovantes reappeared in history when they participated in Boudica's revolt against the Roman Empire in 60 AD. Their name was given to one of the civitates of Roman Britain, whose chief town was Caesaromagus (modern Chelmsford, Essex). The style of their rich burials (see facies of Aylesford) is of continental origin and evidence of their affiliation to the Belgic people. Their name was re-used as Trinovantum, the supposed original name of London, by Geoffrey of Monmouth in his Historia Regum Britanniae, in which he claimed the name derived from Troi-novantum or "New Troy", connecting this with the legend that Britain was founded by Brutus and other refugees from the Trojan War.